On 98.7WFMT radio program Music in Chicago at 12pm, Lisa Flynn will play two numbers from our recent performance of the Messiah. Listen live! On 98.7WFMT radio program Music in Chicago, Lisa Flynn will play our Bach Double Violin Concerto performed by Ellen Maloney and Amelia Piscitelli with our Summer Festival orchestra – our professional orchestra joined by five of the very best Academy students, including Allison Chang, Ashwin Moses and Lily Smith. Conducted by Drostan Hall, the performance was recorded in Wheaton July 16 by Eric Arunas of WFMT. Our Rising Star series starts with a 98.7 WFMT broadcast of our Tchaikovsky String Serenade first movement at noon on Friday April 14 with host Lisa Flynn. Listen live on wfmt.com. WFMT’s Eric Arunas recorded this performance on January 28, 2017 at Fourth Presbyterian Church, Chicago. Our Rising Star Series on April 21 & 23 features the Mozart Piano Concerto No. 27 with Sun Chang with guest conductor Meastro Dan Sommerville. Dennis Moore will broadcast our new Mozart Symphonies CD release in his 98.7WFMT show “Weekend Mornings With Dennis Moore” on Sunday March 26 at 10am! Click here to listen live. See our Compact Discs selection for details of how to obtain this CD. 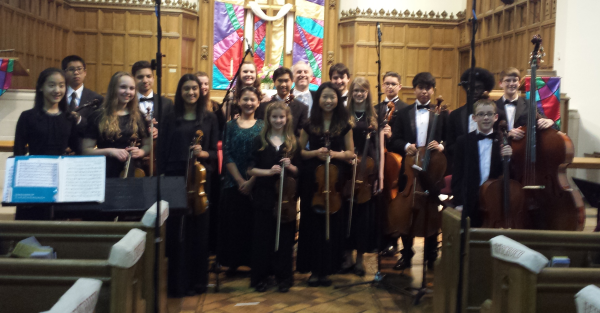 Our December 10 Academy Orchestra broadcast on 98.7WFMT Introductions was wonderful to hear. Click here for the podcast. 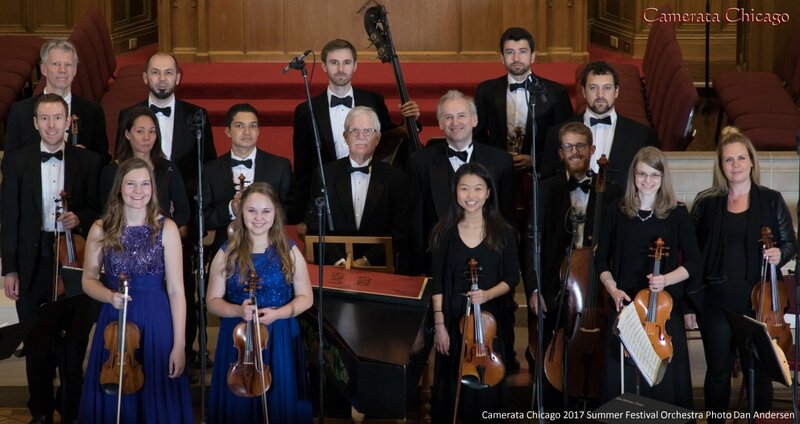 WFMT broadcasted highlights of the Academy Orchestra’s Spring Semester concert (from May 7, 2016) on it’s Introductions radio show. Here is a photo of the Academy on May 7, 2016. Bartok Rumanian Dances, Warlock Capriol Suite and the Brook Green Suite Holst conducted by alumnus 10 year old Ellin Liu. Our Sweetest Day series started with a 98.7 WFMT broadcast of our Tchaikovsky Rococo Variations with cellist Julian Schwarz at noon on Friday October 14, with host Lisa Flynn. We listened live on wfmt.com. WFMT’s Eric Arunas recorded this performance (see videos of this concert here) on April 29, 2016 at Fourth Presbyterian Church, Chicago as indeed he is recording the #sweetestday concert October 14 at 7pm (see photos).